So just how does that happen? Most dog owners (and even many dog trainers) don’t realize that an overwhelming amount of dog aggression stems from fear instead of confidence. But what makes dogs fearful in the first place? Let’s look at it from your dog’s point of view. If your dog has never experienced another dog aggressively barking, lunging, or attacking them, the chances that they will feel the need to protect themselves with their own display of aggressive behavior is very low. Dogs who have only had positive experiences aren’t even aware they are in potential danger and will treat every new dog approaching as a friend…if that’s all they know. But that all changes as your dog has new experiences such as being aggressively barked at, lunged towards, and rushed by other dogs. In these moments, your dog learns that not all other dogs are safe and that they are unable to run away because they are tied to you! Even worse, many dogs learn that the humans they are attached to, lack the understanding or skills to respond appropriately in these scary situations and thus they must protect themselves by any means necessary. Your dog has now learned how dangerous the world is and what little ability they have to keep themselves safe. Violence is often the only resource available to a scared and vulnerable dog who is unable to flee. Keep in mind that even if your dog does not sustain a bite from another dog, that doesn’t mean that mentally they haven’t experienced trauma. The first time your puppy or dog learns that at any moment an off leash dog could appear suddenly and present a threat to their safety, for example,can leave a deep and lasting impact on how they see the world. The resulting trauma that is carried is the spread of the dog aggression infection. In a dire effort to keep themselves safe, many dogs will start to display unprovoked aggression towards other dogs they encounter as their stress and fear boils over into panic. Which each new dog your dog reacts to, you are likely spreading the infection further as other dogs learn they too are not safe. First off, investing in preventative training with a skilled dog trainer like the team at Tug Dogs, is the best vaccine you can give your dog for avoiding problem behaviors. Our trainers can help guide you through the experience of how to handle dogs barking and lunging at your dog in a safe and effective manner. Rather than your dog learning you are useless in keeping them safe, your dog can instead take comfort in the fact that you have the skills needed to provide for their mental and physical well being. Rather than trying to desperately keep themselves safe with violent outbursts, they will look to you to handle the situation. This is exactly the training we provide to our “role model” dogs like Ruby and Cassie who work with dog aggressive dogs daily. How can they do it without lashing out in a need to protect themselves? It’s simple…trainer Erin has rightfully earned their trust by showing them time and time again she can handle scary situations so they don’t have to worry. And with one on one sessions together, we can teach you and your dog to have this relationship too. What if your dog is already infected? Just like with a real infection, the sooner we see your dog after they have been exposed, the better. Addressing trauma and teaching you how to avoid it and handle it better will help your dog become a more confident, happy, and stress free companion. Our goal at Tug Dogs is always to teach both you and your dog so that you can work together as a team and build a closer bond. When your dog trusts you, they don’t feel the need to be aggressive which makes life so uch more enjoyable for you both. It’s simply not enough to love your dog, you also must be able to keep them safe if you want them to behave well and live comfortably with you. If you can’t get to Tug Dogs to work with our highly experienced trainers, we still have some advice to help you find a local professional. It’s important to note that dog training is a totally UNREGULATED industry. That means there are no educational or ethical standards in place. No one is making sure your trainer knows what they are doing except you. It’s up to you to ensure you are working with a skilled trainer who will not put your dog in jeopardy and will not waste your time and money. We suggest searching for established trainers with positive reviews and references. In addition, spend time talking with your dog’s trainer prior to signing up and ask lots of questions. 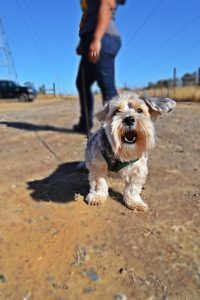 A great dog trainer is always happy to provide you with lots of information about how they train and what their treatment plan is for your dog’s specific needs. Exposing your dog to the terrible illness of dog on dog aggression is a choice. 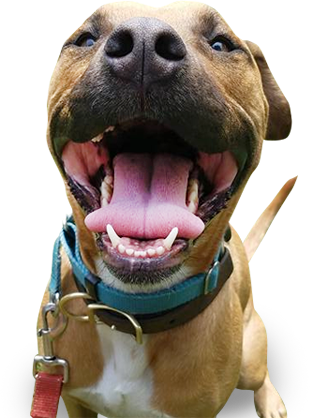 Tug Dogs trainers can help coach you through how to “vaccinate” and “treat” the epidemic of dog aggression so that you and your dog can live your best lives together. Previous Previous post: Active Ignoring…what is it and how to get started? 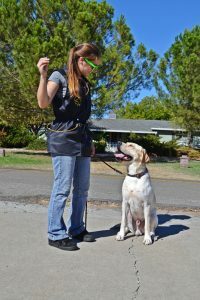 If you are a dog owner in need of training with lasting results, Tug Dogs is a professional dog training academy that offers training services to clients in Northern California area, Sacramento, Berkeley, Danville, Oakland, Portland, OR and Cacas, WA. 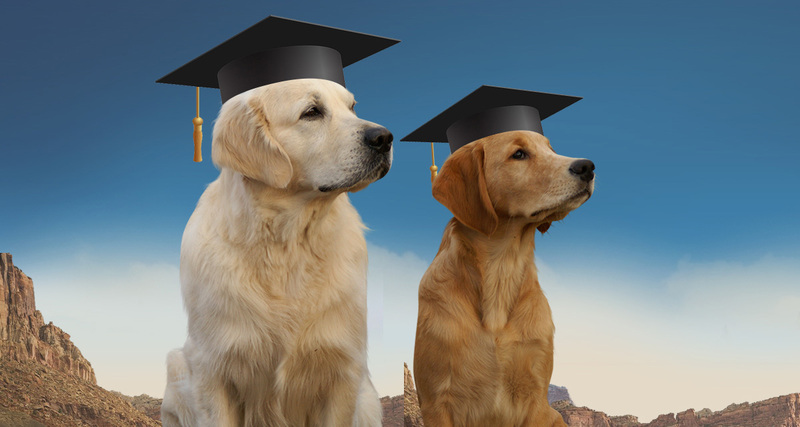 * Please Note: Tug Dogs is unable to provide re-homing services or requests for training outside of Northern California. How can Tug Dogs help you?